As the previous 16 successful ones, this conference will be held in Polyana, Svalyava region, Zakarpattya, Ukraine in the Carpathian Mountains and approximately 190 km drive south of Lviv. Lviv is one of the oldest historic cities in Europe, an industrial and educational centre of the West Ukraine. We hope that the wonderful scenery and fresh air of the Carpathian Mountains will make for fruitful work at the conference and leave pleasant memories about the Conference. At your disposal there are massage cabinets, hydro massage baths, a closed pool, a sauna, a pump-room with mineral waters, a universal conference hall for 80 people with multifunctional equipment, 3 restaurants offering dishes of the European and Zakarpattya cuisine. The windows of spacious rooms open a magnificent view on mountains. Three meals a day are included into the price of the room. 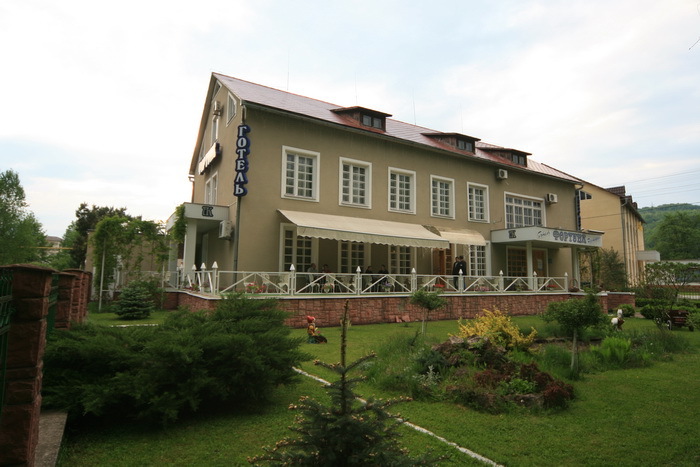 Dear participants, please contact to conference organizing committee about "Fortuna Hotel" (Polyana-Svalyava, Zakarpattya Region) room reservation.